Doubt has been cast over a recent Lord Ashcroft poll which shows Ukip trailing the Conservative Party in four of their key target seats. The poll has been reported as a “blow for Farage”, with coverage suggesting that Ukip will fail to pick up any seats in the General Election. But party insiders have disputed the results, claiming that weighting by the pollster presents a false picture of the results. Lord Ashcroft has been conducting focused polling over the last few months, targeting constituencies on an individual basis in order to build a more comprehensive picture of what result the General Election may yield in May. 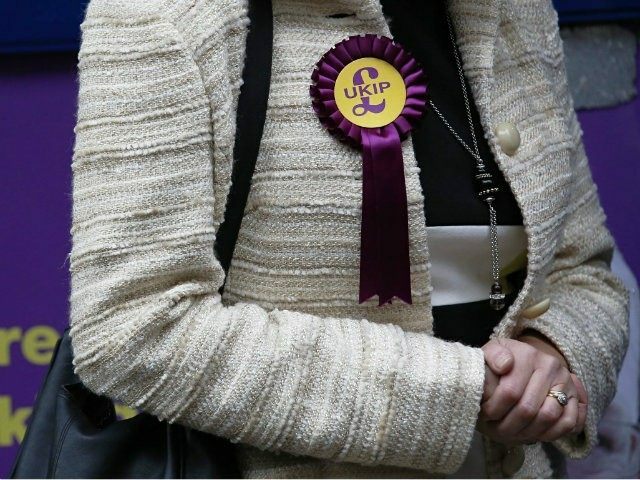 The latest round of polling delved into four constituencies which are known to be key Conservative targets for Ukip: Boston and Skegness, Castle Point, South Basildon and East Thurrock, and North East Cambridgeshire. In addition, Lord Ashcroft highlighted aggregated polling from across the four constituencies which showed that 35 percent of voters said that they were satisfied with David Cameron as Prime Minister, whilst a further 31 percent said that they were dissatisfied but preferred him to Labour leader Ed Miliband. He also pointed to results which suggested that support for Ukip from ex-Conservative voters was weak: just over half of ex-Tory Ukip voters had completely ruled out returning to their old party. However, Ukip officials are unperturbed by the results, arguing that the results are skewed by Lord Ashcroft’s weighting system, which reallocates those who answer “not sure” to parties based on the results of the 2010 election which took place before Ukip made its breakthrough. He said that the party was not complacent, but believed it was in with a very good chance of winning it’s target seats – and maybe a few surprise seats as well. The headline figures for the poll in Boston and Skegness put the Conservatives on 39 percent against Ukip’s 35 percent whereas the raw figures show 22 percent supporting the Conservatives (222 people) against 26 percent (256 people) picking Ukip. When weighted for turnout but not adjusted for don’t knows, the poll puts both parties neck and neck on 37 percent. It was a similar picture in Castle Point, where the headline figures are Conservatives 39 percent, Ukip 37 percent. The raw figures give the Conservatives 24 percent (238 people) and Ukip 26 percent (258 people), whereas the turnout weighted, unadjusted figures show the Conservatives on 37 percent and Ukip on 39 percent.